Recessed light fixture / RGBW LED / linear / outdoor - JEDI RECESSED - Targetti Sankey S.p.a. 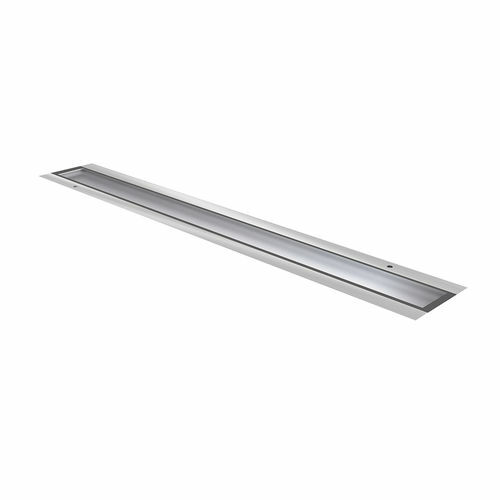 Lighting > Outdoor lighting, Urban lighting > Recessed light fixture > Targetti Sankey S.p.a.
JEDI RECESSED Targetti Sankey S.p.a. Powerful recessed linear RGBW LED projector. Extruded anodised aluminium 15μ body. Extra clear 10mm thick glass flat screen. Brushed stainless steel (AISI 316) frame. The body of the fixture can resist a static load up to 20kN and vandalism (IK10). Anti-slip glass available on request. RGBW LED Emitter High efficiency. Internal optical unit composed of a primary cylindrical methacrylate lens, a high reflectance anodised aluminium reflector and an integrated holographic filter for Grazing, Flood and Wall washer effects; acrylic lenses with integrated holographic filter for Spot effects. To be completed with an aluminium insertion box suitable for in-line installation. LMS Casambi wireless control available on request. Photometric show the maximum emission values of fixtures.